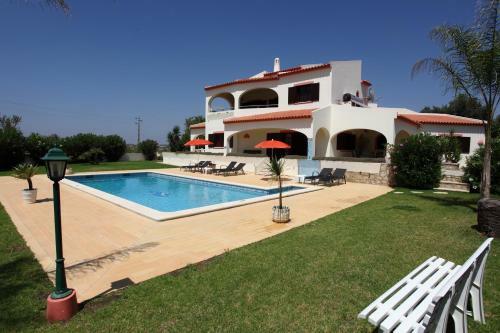 Offering a private outdoor pool, Villa Celia is located in Albufeira and has capacity for 8 persons. The Pescadores Beach and the Old Town are within 3.5 km. This house includes 2 twin bedrooms and 2 double bedrooms. Located in Albufeira, Apartamentos Flôr da Laranja offers spacious self-catering apartments and studios with balconies. It features 2 outdoor pools with showers, 2 communal washing machines, and covered furnished terraces. Featuring free WiFi, Montramar is set in Albufeira, 200 metres from Fisherman's Beach. Old Town Square is 400 metres from the property. The accommodation features a dining area and seating area with a TV.